Good morning, Washington Elite, the forbidden apple just made its way to your garden. For millions of liberals the sun is out today, something unusual is lurking: it’s hope. 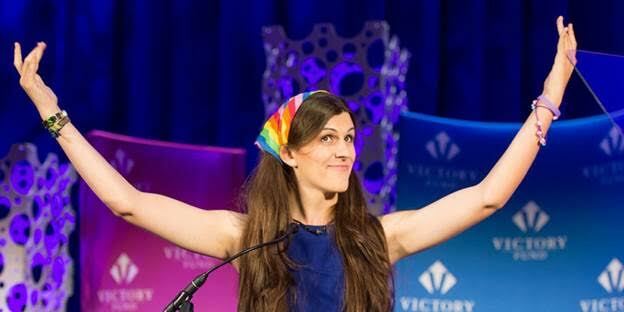 Overnight, Danica Roem became the voice of the resistance, claiming victory in Northern Virginia. She claimed her seat as the first openly transgender lawmaker of Virginia. Defeating a long rival of the LGBTQ community, Bob Marshall was unseated on Nov. 8, after serving 26 years. Democratic Nominee Roem presided over Marshall by nearly a 20 percent margin, striking against the long held conservative position. So how big of a win is this for the LGBTQ community? Marshall has a history of introducing radical bills that would legalize LGBTQ segregation and ban transgender kids from using public bathrooms. This win follows with Ravi Bhalla, who earlier this year became the first turbaned Sikh mayor of New Jersey. In light of the recent republican surge of the Senate and House this is a huge win for minorities. Gay and lesbian Americans are praising Danica for becoming the political representation and leader they need. Do you feel that Capitol Hill? Do you feel the rainbow coming?